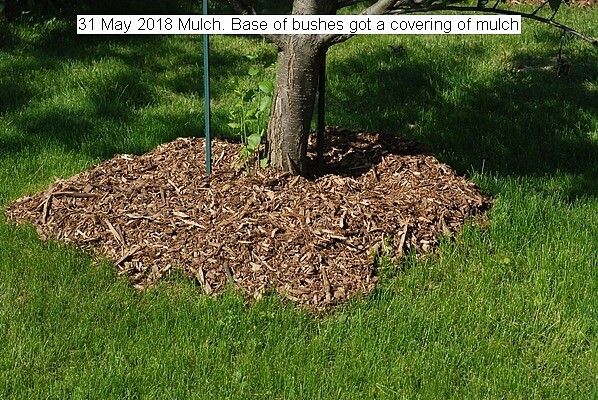 All of the garden bushes have a wheelbarrow of wood chip mulch applied to the base. This is for moisture retention. The complete garden is now mulched except for some minor touch-ups. Ten cubic yards are sufficient for my garden. Most chips disappears in about a year.